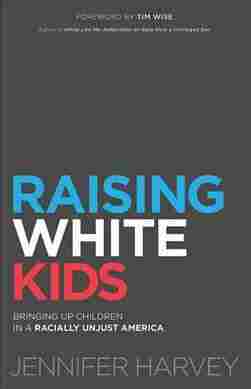 Raising White Kids NPR coverage of Raising White Kids: Bringing Up Children in a Racially Unjust America by Jennifer Harvey and Tim Wise. News, author interviews, critics' picks and more. Discusses how parents of white children should navigate the topic of race in the United States. Weekly Wrap: "We Are Done." August 10, 2018  It's Friday: Sam is kicking it with Texas Public Radio reporter Joey Palacios (@Joeycules) and NPR political reporter Asma Khalid (@asmamk). They're talking immigration, social media, and talking to kids about race. Tweet @NPRItsBeenaMin with feels or email samsanders@npr.org. "I've always taught my children to treat everyone with kindness and fairness no matter who they are or what their circumstances and my kids do have friends of a lot of different races and from different cultures. They never seemed to notice or care what race someone was, until they came home from school after Martin Luther King Jr. Day last year. Then, all of a sudden, they were talking about people's race all the time, saying things like 'Our friend Joe ... he's Black, right?' And I felt like they actually might have been better off without that celebration. Because I really don't think it's good for them to focus on people's race and put them in boxes! Isn't that the opposite of what we should be trying to do?" The concern this mother is expressing is not an uncommon one among white parents. Her suspicion about the move in school to emphasize difference comes from her sense that a color-blind approach might better support harmonious relationships among racially diverse children than an approach that emphasizes their differences and seems to put them in boxes — or even makes them start to put one another in boxes. This mother is not expressing resistance to difference, itself. Quite the contrary, she seems to value it. But she's afraid that teaching children to notice and name racial difference is backfiring. She wants her children to recognize human dignity, value equality, and embrace everyone. Rightly so! Color-blindness became one of the most prominent ways to approach race and difference in the United States after the civil rights movement. The basic principles of color-blindness include the idea that we shouldn't notice race, should look past race, and/or, especially, should never use race as the basis for making decisions, policies, or judgments about people. Such principles can obviously be used in a cynical way. Color-blindness can be used, for example, to shut down racial discussions before they even get started — that is, "We're all just human after all, so why don't we just get over it?" Color-blindness can also be used to short-circuit attempts to respond to the long-term effects of racism. Namely, decade upon decade of racist policies and practices have created uneven playing fields. If we want to address such unevenness in the interest of creating equity, we have no choice but to notice race. We have to use it in some way to develop policies and practices aimed at leveling the playing field. Granted, there are legitimate discussions to be had in response to difficult questions and diverse perspectives on how we best do that. But if colorblindness is invoked at the start of such inquiry, any serious discussion about how to even out the field is shut down before it can even begin. The motivations behind color-blindness are often genuine and full of good intentions, however, as is true in the case of this mother. Indeed, color-blindness is an outgrowth of a central moral message of the civil rights movement: we're one human family and race should never cause a difference in treatment. Many of us have rightly learned, moreover, that assuming someone's race can tell you anything meaningful about that person is the epitome of racial stereotyping. So the conclusion that a good way to teach our children tolerance and equality is to teach them to not notice or to look past race is actually really logical. Color-blindness seems to stand on sound moral reasoning. Color-blindness doesn't work for the simple reason that we cannot not see race. To top it all off, there is at least one more reason color-blindness can be so appealing. Many serious challenges do emerge when we start to name and notice race. This is especially the case as we teach children to do so. What does it mean to say Joe is "Black"? Does Joe identify that way? What are these children assuming they know about Joe or saying about him by debating whether or not he is Black? Obviously, it's a problem if white children run around loudly labeling other children, and especially if they do so in ways that don't feel good or accurate to those children so labeled. Later in this book we'll return and dig in to these challenges and explore ways race-conscious parenting helps with them. At this point it's important to simply be clear: to "not see" or "not name" race is not a solution to the challenges this mother raises. So let's begin by understanding why color-blindness fails if the goal is to teach white children to value everyone and work for equity and justice, and why, in fact, color-blindness actually causes harm to white children's understanding of race. After that we'll explore some of the reasons teaching our children to value diversity as a primary parental strategy, although better, also falls short and what race-conscious parenting looks like in contrast to these two approaches. Even when the motivations are good, there are many reasons to reject color-blind approaches in our parenting. First, and most fundamentally, color-blindness doesn't work for the simple reason that we cannot not see race. In a society as thoroughly racialized as the United States, unless one has a visual impairment it is literally impossible for any human, past their first few months of life, to "not see" it. Race is a social construction. This means that differences such as skin tone, hair texture, shapes of faces, and so on don't have any significance or meaning in and of themselves. None of these have any innate bearing on character traits. There is no racial DNA. Instead, such physical attributes are given meaning by society through a whole array of social practices. Before going any further, let me emphasize a very important point. Even though it has no innate meaning, because race is given meaning — it has been and continues to be constructed — it is real. Sometimes realizing race is not biological leads people to conclude that race is only an illusion. Couldn't we get rid of some of the challenges it creates by just ignoring it? Because race is social and human beings are deeply social creatures, we learn to see race in and on the bodies of ourselves and others. We also observe, internalize, and eventually mimic the many social practices that abound in daily life that give the physical attributes society uses to "mark" race powerful social meanings and effects. In the United States, the attributes revolve heavily around skin color, but can also be hair, an accent, the sound of a name, and many other overt and subtle markers. This entire process gets underway very early in life — much earlier than many adults presume is possible. There are thick socialization processes through which we learn to see and feel race. This means race's impact is much deeper and more encompassing than something having only to do with how we think about difference, each other, or with what we believe about people. In other words, race goes beyond just our minds. The ways people of different racial groups speak to one another, hold our bodies as we do so, are or are not present or represented in various physical spaces (especially in a deeply segregated nation) — all of these are dimensions of our social, racial experiences. Imagine how different the space of a predominantly white church, a historically Black church, or a church made of up Latino/a citizens or recent immigrants from Mexico feels when one enters each of these respective spaces, for example. Even as one can imagine the different feels of such distinct spaces, parents need to understand that young children pick up on and experience these differences no less than do adults. Within a few months of being born, babies begin to observe and absorb, and even respond to the racial dimensions of our society. Children continue to do so throughout their development, day in and day out. This is true whether they are raised in very multicultural contexts or in the whitest of spaces. Many studies help us understand how early these observations begin. Some studies have provided evidence that by the age of six months babies begin to notice the physical differences that mark race. A chapter in the book NurtureShock: New Thinking About Children reports on a number of these studies. It shares one in which, when shown pictures of different faces, babies pause. Their eyes linger longer on pictures in which the face has a different skin tone than that of their parents. Other studies suggest this phenomenon starts as early as three months. Researchers interpret the pause as indicating that babies are noticing skin tone difference — because they don't similarly pause on faces of those who are not their parents but who share the same skin tone as their parents. Such studies don't mean we are all innately predisposed to racial prejudice. Noticing differences and developing prejudice are two distinct processes. Prejudice is learned. Prejudice is the step taken after one notices physical differences in which differences are assigned meanings — negative ones. One does not inevitably have to take such a step. Rather, the NurtureShock studies show that "children's brains are noticing skin color differences and trying to understand their meaning." It's safe to say prejudice is a likely developmental outcome, however. Children neurologically predisposed to notice the physical attributes marking race are immersed in a myriad of social experiences in which people who have such attributes are constantly treated or portrayed in particular ways. As early as age five, children recognize that different groups are treated differently. The point here is to make clear that noticing racial differences is simply part of neurological development. For our purposes, studies like these offer insight into a concrete biological reason color-blind approaches are a nonstarter if we want to raise white children able to engage race, navigate racially diverse environments, and grow deep antiracist sensibilities and abilities. Color-blindness cannot teach children equity because it does not line up with how their brains actually function. They notice racial differences, and if we don't interpret the meaning of these differences with and for them, society will. Because color-blindness is out of alignment with neural development, it would fail even if the United States had no history of being racially hierarchical or white-dominated and was not replete with legacies of hostility and tensions among racial groups. But we do live in a society with such histories, hierarchy, hostilities, and tensions. Encounters among and between people of different racial groups are almost always marked with these tensions, even in amiable contexts. So beside the fact that their brains notice differences, in this act of "neurological noticing" children also take in many nuanced dimensions of tension and racial embodiment that constantly impact interracial exchanges in our society, however subtle these may seem to adults. Many other studies have demonstrated that the youngest of children internalize racist perceptions of themselves and of others. As early as age five, children recognize that different groups are treated differently. They understand something about the social status of different racial groups — their own group and others'. It's pretty remarkable how astute children are and the precision with which they interpret the social meanings of race. Other types of studies have shown that the youngest of children begin to "play" with race as they engage one another. Sociologists Debra Van Ausdale and Joe R. Feagin conducted a yearlong, in-depth study of a multicultural preschool. Van Ausdale spent countless hours observing children's interactions with one another. In The First R: How Children Learn Race and Racism, Van Ausdale transcribes story after story in which children as young as three or four, themselves of many different racial and ethnic identities, make both subtle and overt references to race and difference as they play with one another. "No, no. You can't pull this wagon. Only white Americans can pull this wagon." Renee has her hands on her hips and frowns at Lingmai. The Asian girl tries again to lift the handle of the wagon, and Renee again insists that only "white Americans" are permitted to do this task. Here, a four-year-old is using a construction that joins race and perceptions of citizenship to exclude in her play. This is complex understanding on display. She already knows something about the white racial assumptions of who counts as American. I frequently hear adults who see or hear of children acting in ways that look like bigotry simply conclude: "Well, obviously, they must've been taught this at home!" This is a tempting explanation. Shocked to hear an exchange like the one between Renee and Lingmai, it seems clear an adult must have said something direct for such a young child to invoke such a blatantly racist trope. Children, we believe, are so innocent. But there are many reasons to reject this one-dimensional explanation. Most important, it leads us to conclude that if we aren't actively teaching racial bigotry at home, then our own kids won't fall prey to mimicking such messaging. This conclusion couldn't be further from the truth. If we believe overtly bigoted parenting is the only or even main cause of the kind of behavior seen in the wagon incident, we don't appreciate how pervasive racial messages are and how deeply observant our children are. These messages are everywhere and our children take it all in. Let me share an example from the world of gender. When my oldest daughter was four, she told me one day that she knew "God must be a boy." Now, I'm not only a feminist, but I have training in theology. I have many great arguments about why giving God a gender — especially a male gender — is not only not sound theology, but actually reinforces sexism. My feminist Christian self was beyond alarmed. But the declaration got worse. When I began to probe and ask how she knew God was a boy, first she said something about "God" being obviously a boy's name. But then she said, "God has to be a boy, because boys are better than girls!" An outsider listening in, someone who knew nothing about my children or me, might understandably assume that such a confident declaration must have been taught in our home. What four-year-old would otherwise spout such sexist nonsense? But such a conclusion wouldn't be more off base. My kids are being raised by two moms. Both of us buck many of the common stereotypes about gender. Neither of us has consciously given either of our children anything but intentionally positive messages about both gender equity and fluidity. We are overtly pro-girl and antisexist in our modeling and teaching. But gender and gender messages are everywhere. So are race and racial messages. "Generally speaking, whites and people of color do not occupy the same social space or social status, and this very visible fact of American life does not go unnoticed by children," for example. This and so many other realities of racial life in the United States are absorbed by our children who go on to make conclusions about them — conclusions such as this: If white Americans are at the top of our racial hierarchy, pointing out Lingmai's difference from me on this front is an effective way to make sure I get to keep control of the wagon! The preschool where the wagon incident took place had an explicitly multicultural mission and curriculum. That doesn't mean no racist teaching was taking place in any of the homes of the children who attended the school. But one could reasonably conclude that many or most families sending their children to such a school weren't explicitly engaging in such teaching. As is true with sexism and many other "isms," the reality is the presence of racial messaging and experiences is pervasive and powerful. These transpire and impact our children well outside of specific parental language and teachings.